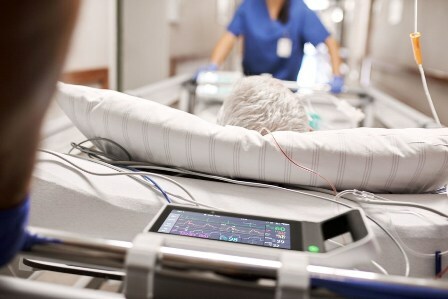 Health technology firm Royal Philips has introduced IntelliVue X3 system in Europe for continuous critical care patient monitoring during in-hospital transport. The system provides an advanced smart-phone-style operation, which rapidly and easily allows continuous monitoring during transport for the most critical patients. IntelliVue X3 has secured CE mark approval in Europe, while it is yet to secure regulatory approval in the US. IntelliVue X3 is said to incorporate into the existing IntelliVue patient monitoring system, comprising of bedside and transport monitors, clinical network and Philips family of central stations. Data from the system can also be incorporated into mobile applications, hospital network and interfaces that connect the system to other medical devices, as well as the hospital's electronic medical record (EMR) system. IntelliVue X3 also offers a comprehensive and scalable set of clinical measurements ranging from basic to advanced monitoring, in addition to providing complete data records. The system allows for advanced monitor during stationary and transport situations, including dual invasive blood pressure, built in mainstream CO2, choice between three SpO2 technologies and state-of-the-art ECG/Arrhythmia. Philips patient care and monitoring solutions business leader Felix Baader said: "Health systems need accurate and transparent information and processes to help clinical staff make faster, more consistent decisions based on patient conditions and history. “With the development of the IntelliVue X3, we're aiming to ensure that data isn't being lost during transitions and that we're able to better equip clinicians with the information they need, when they need it." Image: Philips IntelliVue X3 enables continuous critical care patient monitoring during in-hospital transport. Photo: courtesy of PRNewsFoto / Royal Philips.